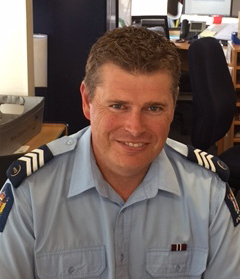 Sergeant Matt Murray from Waitemata District Police kindly answered some questions this month about collaboration, why it’s important to police, and the outcomes it can achieve. Check out some his previous columns here. Q: Hey Matt! What’s the value of collaboration to Police? Why is it important? Collaboration is tremendously important to our work as police officers. Without it, the fact is that we’d have a very hard time making a difference in stopping retail crime. Over the last nine months, my team at the Waitemata Investigation Support Unit staff have focused heavily on improving collaboration with local retailers so we can improve communication and understanding about things like suspect IDs, quick supply of evidence and CCTV footage, quality incident reports and other aspects of fighting crime. We also host regular meetings with retailers as an open forum to discuss areas where we can improve collaboration and communication. We’ve learned that the true value of collaboration is in understanding that reducing retail crime isn’t any one group’s responsibility, and that collaboration is the only way we’ll be able to get successful outcomes and reduce crime. Q: Why can’t Police solve retail crimes on their own? Simply put: we need the help of retailers to get the details and evidence that make charges stick. For example, in order to prove the value of a stolen item we need retailers to provide some form of evidence, like a till receipt or copy of an invoice. Without this information Police would be unable to verify the item’s value, which impacts type of charges we can file and the sentence an offender would potentially receive from the court. I’m very thankful that many retailers employ dedicated Loss Prevention staff with knowledge of Police requirements that can quickly supply the information we need. If gathering evidence became solely the Police’s responsibility, it would take significantly longer to do the investigative work and make it harder to apprehend offenders. Q: How can retailers and police collaborate better (aside from using Auror)? Communication and understanding is at the heart of collaboration between Police and retailers, so any means that creates more open interaction will improve collaboration and information flow. For example, our office recently identified an ongoing problem with the supply of evidence from a particular business. As a result we implemented a new system that led to better evidence getting supplied to police faster, which was instrumental in breaking up a group of offenders that were hitting local stores. Q: Can you give an example of the results Police can achieve when collaboration works well? Collaboration, whether by previously established channels or in response to a criminal complaint, has played a key role for us. Earlier this year we completed an initiative where we identified and targeted the most prolific retail offenders in the Waitemata Police District. We identified a group of 27 main offenders, and through collaborating with retailers and other agencies we were able to lay 140 charges against this group, with 13 offenders being remanded in custody. These results would not have been possible without retailers and other agencies collaborating to ensure evidence was available to our office at the right time for these apprehensions. Another example of recent collaboration is a story already reported by Auror that shows how effective collaboration is, not only in relation to retailers but also in relation to policing to achieve great results. Got a question for Matt Murray? Submit it here.